When to comes to watching TV or movies at home, is it better to watch close up on a computer screen or at a distance on a TV? 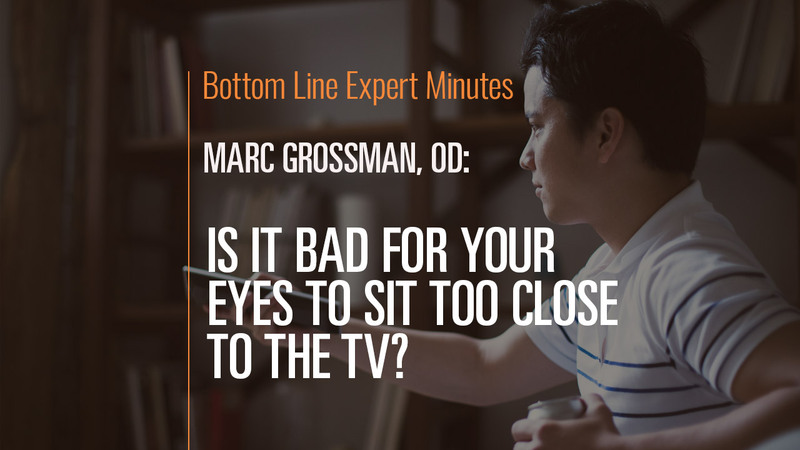 Distance does make a difference, says Marc Grossman, OD, LAc, holistic developmental/behavioral optometrist and licensed acupuncturist. Watching TV from 10 or 20 feet away is much easier and more relaxing on the eyes’ focusing system. And viewing from a distance greatly reduces the electromagnetic radiation that reaches the eyes.